We’re so excited today to welcome you to our new internet home! While it may look like a minor visual refresh (since we LOVED the design and content of our old site), there’s a pretty profound change we’ve made here. Our Magnoliahouse online headquarters is now powered by Squarespace! We started this process just after the new year, when I was filling out my Powersheets, and reflecting on what worked and didn’t work in 2015. Y’all, I hate blogging on WordPress. I know I’m supposed to like it, I know I’m supposed to do it, but I hate it. I hate typing out a post in that tiny little window, I hate having to guess and check my header styles and line breaks fifteen times. And this year, I’m trying to do less of what I hate, and more of what I love. Meanwhile, my love of Squarespace is well documented, Every time we finish off a new Squarespace site for a client, I have a pang of jealousy that accompanies my giddy excitement. I’m so excited for them to fill their new blog with gorgeous visuals, inspiring words and fabulous content. All of sudden, it was obvious. Why hadn’t we made the shift to Squarespace for our own website? As we considered the possibility, we found another reason to make the change: the chance to experiment with Squarespace’s developer platform. With our clients, we currently use the existing templates with a healthy dose of custom CSS and code injections to create a beautiful, unique and easy to maintain website. 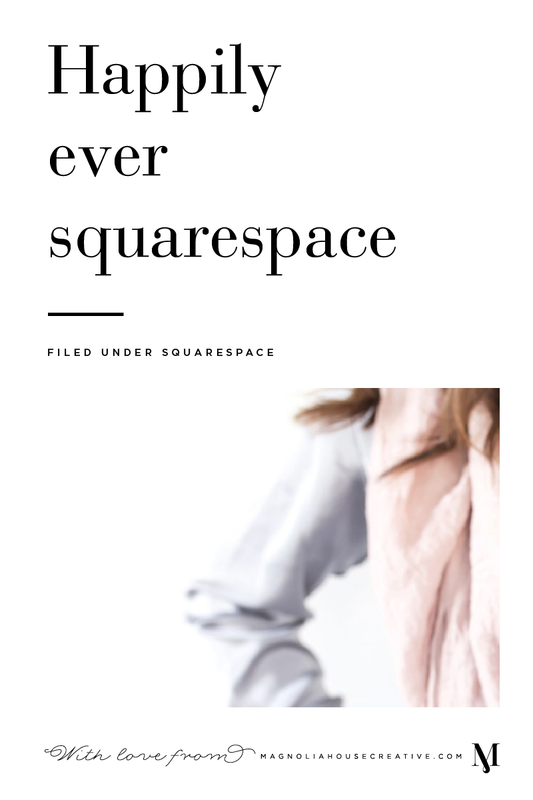 But Squarespace also offers a developer platform that allows for full control over every template, while still allowing the use of their fabulous front end tools. And after meeting the amazing Megan Garwood, we knew we had the perfect partner to work on the development side. After a month or so of design time, a few weeks of development (yes, Megan is ROCK STAR), and some late nights transferring our existing portfolio and blog, it’s finally launch day! Goodbye WordPress, hello Squarespace perfection! What do y’all think of our new site? Let us know in the comments!